TAKE5 gives you an update on the latest Meetings, Incentives and Business Travel related news. It contains short and to the point information on venues, people, happenings, lifestyle and general news that cannot wait to be told! BBT Online guarantees you 15 new ideas in just 3 minutes. Enjoy our 49th edition. All of our take5 articles are advertorial free. The Westin Grande Sukhumvit Bangkok opened an innovative rooftop function space, “Altitude” which surely opens new horizons for event organizers. Altitude includes an indoor function space, an elegant break-out room called The Library and The Terrace. 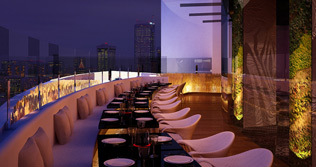 The chic new function space is located on the 25th floor and takes advantage of dramatic views of downtown Bangkok. Guests can gather on the terrace for appetizers and cocktails and take in what is surely one of the best panoramas in the city. The expansive 400-square-metre indoor room is bathed in natural daylight and is ideal for meetings, events, conferences and cocktail receptions for 80 to 300 guests. BBT Online will attend the very renowned MICE Fair IT&CMA http://www.itcma.com/ in October this year. Interested in joining us as Fully Hosted Buyer? You want to join us? Mail to info@bbtonline.eu We definitely plan a drink at the Westin Bangkok. The iconic building that once housed Amsterdam's premier music conservatorium has completed a sophisticated transformation into the city's most unique and fashionable hotel. Design Hotels’ new member, Conservatorium Hotel Amsterdam combines luxury, lifestyle, and heritage with an exceptional level of personalized service. Unique touches such as the glass-covered atrium and ubiquitous exposed beams, a brasserie and Holistic Wellbeing Center make this 129 room hotel into the newest ‘place-to-be’ of Amsterdam. 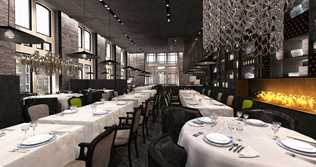 Recently The Hotel Brussels (former Hilton) unveiled the new room concept as designed by Spanish architecture agency GCA. The concept epitomizes the ultimate hotel experience for the modern, cosmopolitan traveler. The stylish elegant rooms with a new layout, give an exciting first glimpse into the spectacular, full-scale renovation to come. The first 20 rooms will be ready by April of this year, a further 100 will follow by September. The remaining 200 rooms and suites will be finished in phases with all 424 rooms ready for Spring 2013. The meeting rooms on the 25th, 26th and 27th floors will be completed in September 2012. Smartphone carrying guests can use their device to unlock their room door as well as to check in and out. Berge (Germany) is anything but normal and so they say themselves! Berge is a guesthouse of specific character. It offers 16(!) individual apartments for self-caterers. The reception of Berge is staffed in the morning and in the evening. 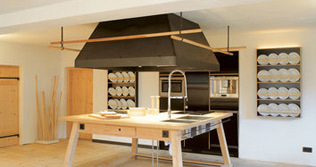 Guest who do not feel like cooking can be pampered in Aschau in various ways. Interesting? Sure… unusual? Definitely! 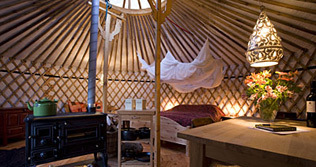 The island Texel (the Netherlands) proposes overnight stays in 11 yurts. These traditional Mongolian tents from the steppes are located in the National Park Duinen, not far from the beach and the village. All tents have a beautiful wooden floor, a well-equipped kitchen with a woodstove, a cool box and a cd-player. Guests can relax in a cozy seating area, there are beds with wool covered duvets, the lights bring an intimate atmosphere and clothes can be stored in special boxes. Outside, peace and quiet and nature, a protected dune valley, a pick-nick table and chairs.. your own little slice of paradise. Stations like airports create a certain expectation, your guests will have a special feeling from the start. 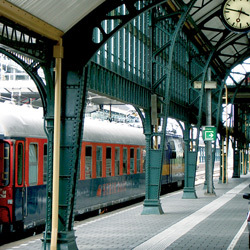 ‘Feesttreinen’ makes it all possible and with departures from a station of choice around Holland this concept can be a very different proposal for your next party, event or serious meeting. Most carriages used by Feesttreinen are multifunctional and make it possible to have tailor-made solutions for organizers. It is possible to go into great detail, even providing different decors or music for each different carriage, the sky is the limit as far as ideas are concerned. As for meetings, organizers are certain to have a ‘captive’ audience once the train gets going..the sensation of ‘getting away’ will keep them focused and is a sure way to keep the attention, although the passing landscapes may prove inspiring! It is possible to ‘park’ the train at certain spots and organize a culinary or sporty break away from the train as well. Brusselicious: the Tram Experience – a corporate joke! On February 15 Visit Brussels proudly presented the excellent concept of the Tram Experience to the press. 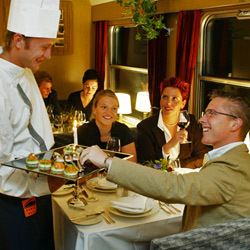 As of March, 2 of this year a specially decorated tram with 34 seats will be travelling on certain evenings (planning/booking on line www.brusselicious.be) through our capital and serve a 3-course menu (new versions of Belgian classics) prepared by high-ranking Belgian Chefs for the sum of € 75 p.p. So far so good! The Tram looks good, the concept is solid, the trip in itself of great interest, to be recommended to all! The problem starts when one wants to know about corporate privatizing of the tram in question. Nowhere on the Brusselicious website is there any mention of corporate promotions, however after several calls and emails we did get a copy of the corporate brochure. At first we thought our calculator had given up, but alas no, the corporate rate for renting all 34 seats had risen to a whopping € 6000 plus VAT!! Or, from € 75 pp to € 213 pp…. when we enquired about this huge difference over the phone we were told that as the price for the public was fairly low, it had been decided to make some more money on the corporate side (sic). Badboot, a new nautical experience in Antwerp! As from September 1, 2012 Antwerp can boast a new top attraction in the port: the Badboot. Imagine a futuristic, sleek and elegant ship platform of 1800m², moored near the MAS museum and offering a great outdoor swimming pool of 400m². Even better, as from November, each year, this pool is transformed in a great ice-skating rink for all to enjoy throughout the winter season. But the Badboot is much more than that: it offers 450m² event space and over 750m² open terraces, an ideal venue space that can be combined with the Festina Lente party boat of the same owning company. The 1st Edition MICE & Event organised by Arjen Lemstra took place in Brussels on February, 16 – www.miceevent.com The hall and the stands looked good: neat, professional, businesslike and elegant. 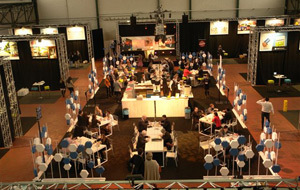 The exhibitors really liked the look and feel of the whole fair and got ready for visiting buyers. Miss Belgium 2012 even made a guest appearance and then….quiet. 70% of the registered visitors did not turn up. What happened? The roads were clear, the weather was clement, no strikes or ice to upset their voyage, a good location with ample parking facilities and an interesting mix of exhibitors awaited them, and yet they did not bother. 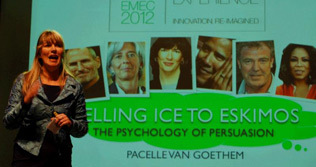 The MPI EMEC conference attracted 343 participants to Budapest in January and the theme, Innovation Re-Imagined, produced another inspiring EMEC in a great meeting destination in this, MPI’s 40th year. Here are just some of the high-lights which we recommend you to look at online. There was so much content at EMEC that delegates were forced to be very selective about the sessions they attended. When Bruce visited the Hungarian Capital to cover EMEC 2012, he took some time out to look at this beautiful city from a point of view of the Meeting Planner and came up with some interesting USPs and venues for meetings and events. A compact guide to a not too far destination. 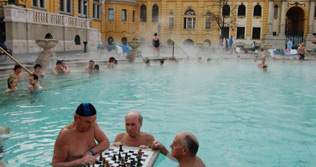 Click here for some practical info and comments on Budapest. If you are looking for content from outside our industry, look no further. Pricing & Sales Optimization was a somewhat unusual subject for the meetings & events industry, but is highly relevant to us all and to every other sector of the economy. 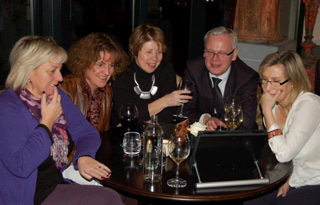 MPI’s January educational meeting was held at Dolce ‘feel inspired’ La Hulpe. The speaker was David Vidal, the Director for Paris & Brussels of the international pricing consultancy, Simon-Kucher & Partners which advises many of the world’s top brands on their pricing strategies. David’s own experience covers hospitality, restaurants and retail at both a national & international level. He defined pricing power as “the ability of a company to get the price it deserves for the value it delivers”. Click here to read more …. 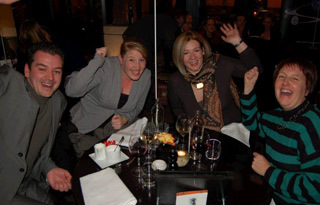 International venue finder Helms Briscoe, in cooperation with The London Speaker Bureau, organised the second Tintin Lecture Series around a breakfast at the Conrad in Brussels on 3 February. The concept of the Tintin Lecture was dreamt up by the London Speaker Bureau. Oliver Chittenden, LSB’s Director for France & Benelux, told BBT Online how their first Sinbad Lecture Series in the Middle East was such a success that they decided to create a Brussels’ version also based on a popular cartoon character. 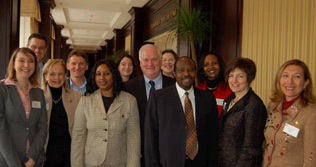 This interesting morning we received food for the brain, John Bruton and for the soul: Paul Rusesabagina. euromic met on January 13 - 15, 2012 for their Annual General Meeting in Aqaba, Jordan. 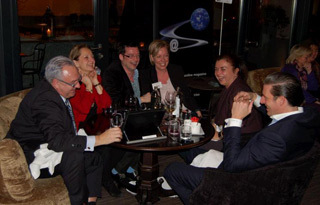 The gathering was an opportunity for euromic's members and World Affiliates to welcome new members, set strategies and plans for the coming few years, discuss association and industry issues with clients and media representatives and get re-energized for the year ahead. Jordan was selected by euromic as the host country for the recent meeting as a gesture of solidarity in response to the last year's situation in the Middle East. Euromic's 1999 annual meeting was held in Amman and the return to Jordan for the 2012 meeting is a testament of the association's commitment to the region and their members who operate there. On February 7 BBT Online organized it’s 6th successful 4 Destinations Workshop presenting Poland, London and Wallonia (double slot) as destinations. Even though the bitter cold we had only one no-show and hardly no last-minute cancellations, we sincerely want to thank the 61 MICE planners present to make it such a success. 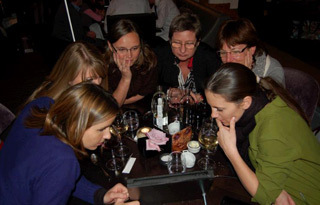 At dinner everyone had a lot of fun during the Event Masters Ipad Quiz. Behind this link you can read some of the very nice feedback we received the next day, from the supplier as well the planners side. We hope to see all Belgian Incentive Agents again on June, 25 - August, 27 and December, 18 for our following 4-Destinations workshops this year. To see more pictures of the evening, go to our Facebookpage, click here. • It’s a no-win situation if more than one event, workshop or press conference is organized on the same day! Consult our MICE agenda www.bbtonline.eu/agenda.php and send us your information via info@bbtonline.eu so we can propose a tool that is as complete as possible to all! • VO Communication interrogated more than 300 enterprises and found that 53% attached great importance to social corporate responsibility and 6 out of 10 wanted to increase the ‘green’ statute of their companies in the coming 5 years. • At the recent Salon des Vacances in Brussels, Serbia introduced “Soulfood Serbia”, a new concept of culinary tours of the country. • Movenpick Hotels & Resorts adds in the coming years 11 new hotels in 9 countries to its portfolio in France, Egypt, Tunisia, Morocco, China, Indonesia, Malaysia, Bangladesh and Thailand. Sharm El Sheikh- Egypt, Marrakesh in Morocco, the Tunisian desert oasis Tozeur and Djerba, Hainan in China and Chiang Mai in Thailand are a few of the interesting new locations. Since January of this year the chain operates its first Parisian hotel in fashionable Neuilly. 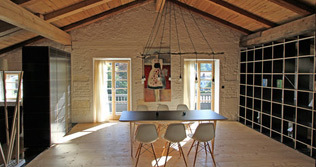 • A little gem of a private getaway: the B&B Granary Cottage in Lendelede, take a look, you’ll want to book immediately! www.granarycottage.be Also for events. • First Hotel Indigo opened in Berlin this February, the first in continental Europe. 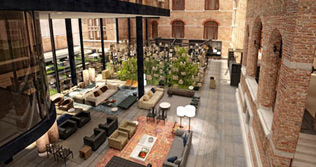 A second Indigo Hotel will open, also in Berlin in May 2012. • Brussels Airlines will gradually introduce from Spring 2012, an innovative cabin for its Business & Economy Long Haul customers. The product is guaranteed on the New York flights! • London & Partners Head of Business Development for Europe, Barbara Jamison, became Site GB Chapter President in February. 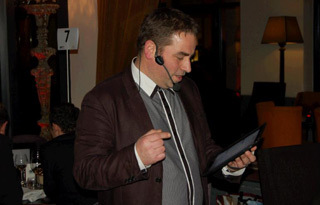 • Marco Nagels, formerly of Rezidor, has left the hotel and travel industry all together and is now in charge of commercial contacts at the Antwerp Chamber of Commerce. • Cathy VanderEecken (35) is the new General Manager at Park Inn by Radisson Liege Airport. 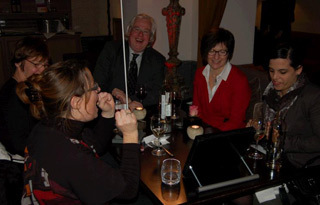 She succeeds Mark Mosselman who moved as General Manager to the Radisson Blu Hotel Hasselt. • Anne-Marie Aucouturier leaves the Crowne Plaza le Palace hotel at the end of February for another position within the IHG group in Brussels. • Katinka van Ekeren is the new Commercial Manager Benelux for British Airways. • Gonzalo Perez Constanzo was unanimously elected to be the new President of IAPCO, from immediate affect following the end of term of Philippe Fournier, the previous President. Gonzalo is the Managing Director of Kenes Latin America, Chile. 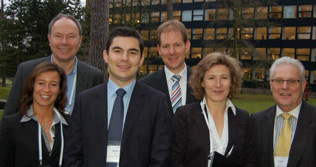 • Philippe Lefebvre is the successor of Kathleen Bertier at Meeting in Brugge. • Laughing is good for you! With Saint Valentine's just behind us, this one is specially for the ladies: yes, staying single is definitely an option! Click here.